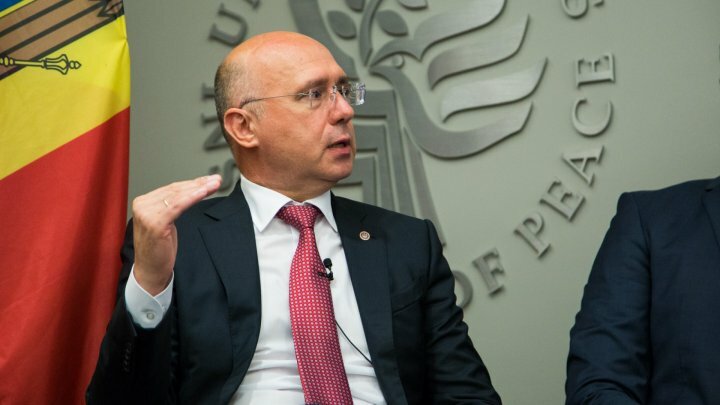 The complex political situation from the Republic of Moldova, registered successes of the current Government and the areas that still need to be worked on were recently discussed, in Washington, where Prime Minister Pavel Filip met multiple U.S. officials. Prime Minister Pavel Filip has offered a special interview to journalist from Prime in the United States of America. Alexei Lungu: Mister Prime Minister, how important was this visit you have performed to Washington, especially since it completes a row of recent visits both political, as well as governmental? Pavel Filip: Starting from the fact that the Unites States of America is a strategic partner for the Republic of Moldova, of course this visit was very important. We tried in a short period of time to cover as many fields as possible. Of course, an important meeting was with the United States Department of State. We spoke of the complex political situation from the Republic of Moldova and I believe this was a long-awaited event. We spoke of the achievements, as well as elements that still need to be worked on. I am glad that we had this discussion. Another area was tied to trade and economy in general. Firs of all, I have met with entrepreneurs from the United States and had the chance to tell them of the latest developments in the Republic of Moldova's business environment. I have also met with the United States Department of Commerce, where we spoke of the reforms aiming to make the Republic of Moldova more attractive for investors, of our latest achievements in this field and we received positive messages and description of programs where the Republic of Moldova can participate. We also had a nice, but at the same time perhaps tense, discussion at the United States Institute of Peace, where we spoke of the political situation from the Republic of Moldova. There were many people interested in what takes place in the Republic of Moldova and of course, a separate topic was regional security. Last but not least, we spoke with multiple members of the House of Representatives and the Senate, because this relation with them is important, taking into consideration that a resolution regarding Moldova was forwarded at the United States Congress. Recently, another resolution aimed at the Republic of Moldova and the region in general, namely Ukraine and Georgia was submitted. We ensured that members of the Congress and the Senate will support those resolutions. This political support in our pro-western path is crucial and taking into consideration that general elections will be held this year, declarations will follow and the Republic of Moldova, as usual, will fall in geopolitics before the elections, it is crucial for citizens of the Republic of Moldova to see this support from the United States of America. Alexei Lungu: Taking into considerations the meetings and current speculations from Chisinau, what are the messages you were told by entrepreneurs, but more important, by officials from Washington? Alexei Lungu: That you were criticized and were not warmly welcomed by the politicians. Pavel Filip: I am a pragmatic person and love constructive talks. I wish to say that I succeed in this each and every time. Therefore, let us not think that people here do not keep an eye on what is happening in the Republic of Moldova and the activity of the current Government. Therefore, our results were appreciated and, at the same time, we also spoke of what must still be worked on. I appreciate a constructive visit, with constructive and open talks.